The World Cup has brought out my duality. On one hand, I root for the French whole-heartedly but on the other, I feel an attraction to the ever under-dog American team (perhaps because in athletics, we infrequently are). Maybe it’s because I just got back from Paris, maybe it’s the unseasonable warm actual-summer San Francisco weather, but I am feeling torn. Somehow comparing the two countries is a national sport in America. But I never feel that kind of zeal. The only way to reconcile these kinds of feelings is through careful comparison and observation. But where do I begin? Education? Health Insurance? Politics? No, the only way to truly do this is through food. Which stacks up better? Where does France reign supreme? I am going to tell you the truth the whole truth and nothing but the truth about the truly important differences between the two cultures. The butter is better in France. I do not care what fabulous organic creamery lost in the hills of Vermont or the green fields of California made your butter, the average French butter, bought at your corner store, tastes better. 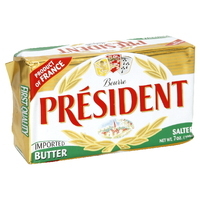 I personally recommend Président. I should note that there is a savory alternative to Président: Echirié. A butter so smooth, sprinkled with a little sea salt from the Camargue. Mon dieu, as we like to say. With the butter there is another essential ingredient: the ham. And the ham is better in France. I know you trekked thirty-seven miles to buy that incredible organic ham, which is wrought from a herdof 15 porks. Or you found a butcher who exists in a cave in Wisconsin. 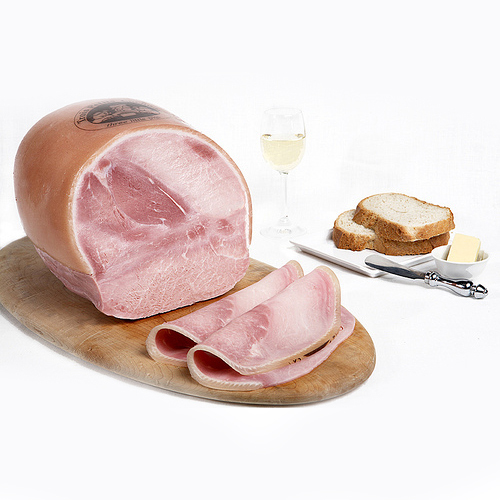 In France, you could go to your local French butcher and have gotten the best ham of your life. No trekking or cave involved. The butcher might seem like an antiquated profession but trust me: you want someone in your life that knows how to slice leg of lamb, how to carve a cow and how to best present a duck breast. And finally there is the bread. I don’t know what it is in France but even my daughter, who lives in New York, complains of never being able to find quality bread. 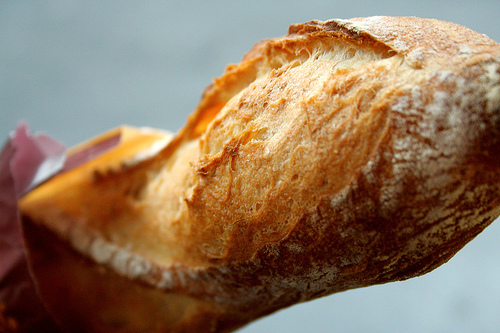 It could be the water or the flour in France, or maybe the fact that thousands of bakeries are all competing for your business, but the bread is better here. Should I also note that the French people do not seem to be decimated by gluten allergies? Go figure. Of course, there are some metaphors in these. The quality of food on a basic level is just better in France. But best of all–these three ingredients? They combine to make the best sandwich, un jambon beurre on a baguette. Who needs all the fuss all the food trucks all the crazy ingredients, in France these thee basic elements are the holy trinity. 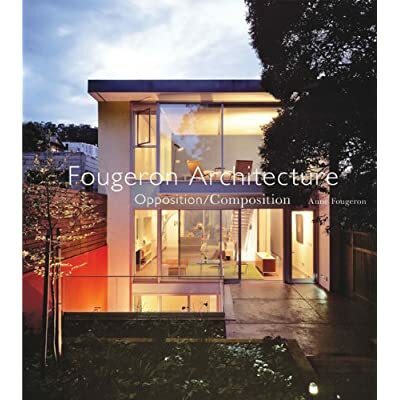 ← Fougeron Architecture in Vogue! agree on the butter and ham but not the bread, most is now factory produced and majority of smaller and mid-sized villages cannot support their once lovely bakeries,,,,at least in SF I think we win on the bread front. Ah.. so delightful as usual. A duality, at World Cup time – especially this one, I so well, also relate to having. Good thing you haven’t touched on Education and Health Insurance – there is no contention there as to whom would the winner (again) would have been… Vive la Wholly Trinity: Jambon Beurre A Baguette !